Successfully Added FlyDiGi Wee Mobile Game Controller - Adjustable Handle, Bluetooth 4.0, 300mAh Built-in Battery, Anti-Slip Grip (Black) to your Shopping Cart. 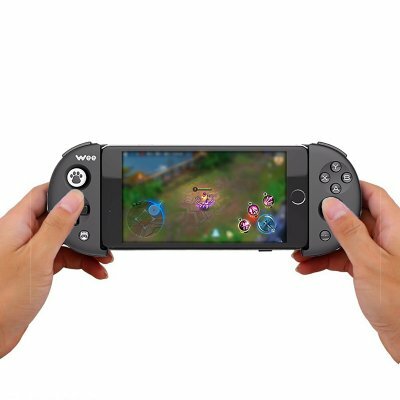 The gamepad is compatible with Android OS 4.4 and above so its suitable for most modern smartphones. A built-in 300mAh battery brings long operation times letting you play for up to 80 hours between charges. Using Bluetooth BLE 4.0 you'll have a strong stable connection that lets you game without the need for any wires or cables. The FlyDiGi Wee Mobile Bluetooth game controller comes with 12 months warranty. Brought to you by the leader in electronic devices as well as wholesale mobile phone accessories and gadgets.